Autumn has arrived. It’s glorious. But there is some level of panic, too. It’s all ending. There goes that last truck filled with corn, here comes the first of the kale and pumpkins. Nothing makes me sadder than the tomatoes dwindling and dwindling until there is nothing but a basket of green tomatoes left. Don’t despair. 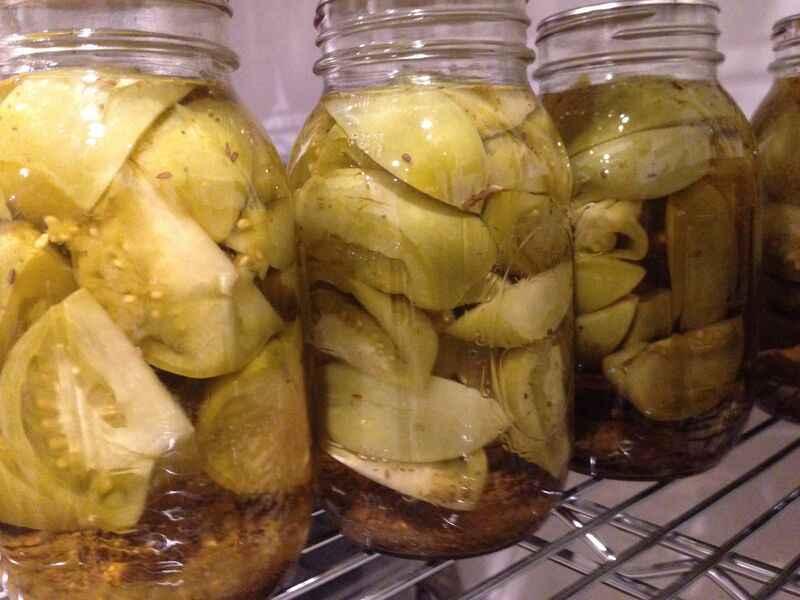 Pickle some green tomatoes instead. Pack the tomato pieces into the jars. Make ’em snuggle in there. Add one tablespoon dill seed and one tablespoon celery seed into each jar. In a medium saucepan, bring the vinegar, water, salt and garlic to a boil until the salt has dissolved. 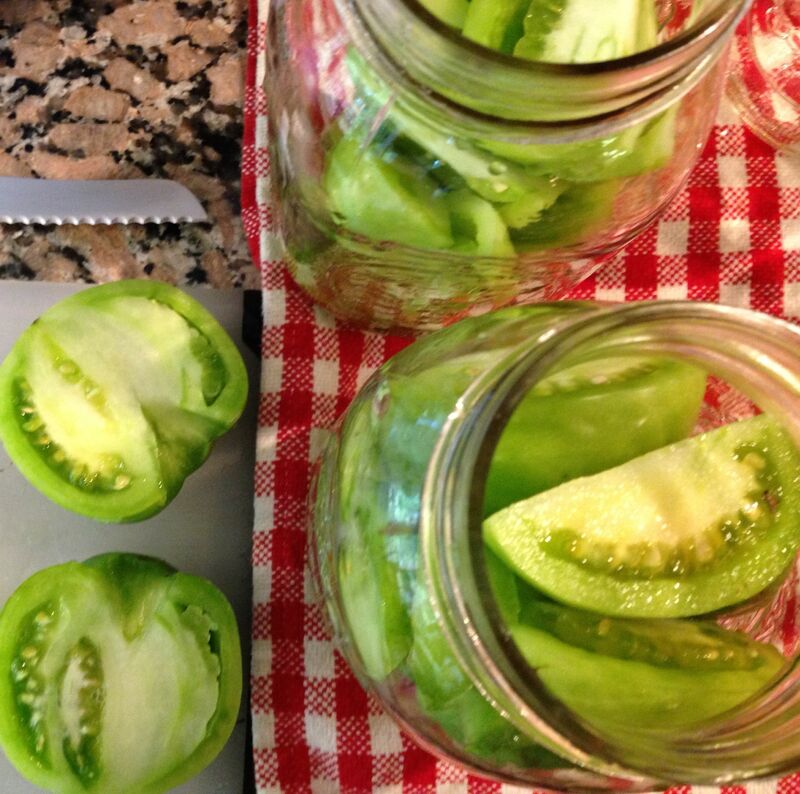 Pour the brine over the tomatoes, filling the jars and maintaining a 1/2 inch headspace. Add one garlic clove to each jar. Clean the rims of the jars, place the lids and rings, and lower the jars into the water bath. Process 15 minutes after the water returns to a boil. After processing, turn off the heat and leave the jars in the waterbath for a few minutes to reduce siphoning. Let the tomatoes pickle for a month before eating. This looks like it would halve nicely … if I went with pints instead of quarts — 15 minutes still the way to go?? Love the creative usage of green tomatoes to deal with the changing seasons! Sorry, but I didn’t get what you meant by process. Do you mean we should boil the jars for 15 minutes? Yes, still process for 15 minutes!